Men and women of all ages can suffer from hair loss. A person’s hair loss can have a devastating effect on his or her self-esteem. It is incredibly common for a patient affected by thinning hair, a receding hairline, or bald spots to feel self-conscious. Through hair restoration surgery such as follicular unit transplantation, patients can achieve long-lasting, natural-looking results. Many patients are concerned about achieving results that look natural. 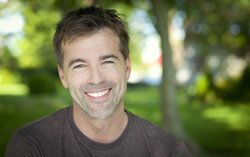 Inexperience, poor technique, and outdated hair restoration technologies can leave a patient feeling unhappy with his or her results after undergoing hair transplant surgery. At the Manhattan hair loss clinic True & Dorin, hair restoration specialists customize treatment to each individual patient’s unique needs. By utilizing state-of-the-art hair restoration techniques, the hair restoration professionals at True & Dorin are able to achieve exquisitely natural-looking results. Past hair transplant techniques often left patients with results that did not appear natural. The outdated hair transplant method commonly referred to as “hair plugs” used 10 to 25 hairs per graft. It is typical for the “hair plugs” hair restoration technique to leave the patient with the undesirable and unnatural appearance of having doll’s hair. The main problem with using such a large amount of hairs per graft is that the hair naturally grows in groupings of one to four hairs. Follicular unit transplantation, also known as FUT, is a highly effective hair restoration surgery. To prevent the appearance of “doll’s hair,” follicular unit transplantation uses follicular unit groupings of one to four hairs to mimic the hair’s natural growth. A patient that has previously undergone hair transplantation and is not satisfied with his or her results may benefit from a hair transplant repair procedure. Follicular units may be placed to help conceal large grafts. This hair transplant repair method is not suited to every case. Sometimes it is advisable to remove large grafts. The grafts can then be cut into individual follicular units and re-implanted. Many patients will benefit from a combination of both of the above mentioned hair transplant repair techniques. There are many factors that must be considered by the hair restoration surgeon when recreating a patient’s natural hairline including the patient’s age, the patient’s degree of hair loss, the patient’s facial characteristics, and the size and shape of the patient’s head. Creating a natural hairline with hair transplants is a complex process. In order to create a hairline that looks natural to the patient, the surgeon must ensure that the hair grafts are placed in an irregular and random pattern. One way in which a natural hairline can be created is by placing hairs irregularly across the frontal edge of the head. The hairline must also not be placed too low. The angle at which the follicular units are placed also plays a key role in how natural the hair appears. A natural hairline is not only possible, but should be expected when undergoing hair transplant surgery. The hair restoration professionals at True & Dorin tailor treatment to the unique needs of each individual patient to ensure natural-looking results that last. If you have undergone a previous hair transplant surgery and are unhappy with the results, or if you are considering hair transplant surgery for the first time, please call or email our office today. We will be happy to answer any questions you may have.